Micro needling, also called Collagen Induction Therapy, is a cosmetic procedure used to improve texture, tone and wrinkles in the skin. Micro needling can also reduce the appearance of scarring. Micro needling is based on the use of tiny needles to create very small holes in the skin. This procedure stimulates your skin’s healing process, producing more collagen and elastin. The repair process begins almost immediately, resulting in softened wrinkles and scars, as well as a thicker dermis. There is no tissue damage with micro needling. The small holes in the epidermis begin to close immediately and the healing response begins right away. Depending on the skin defect, you will see some redness and may experience a small amount of bleeding that stops almost immediately. 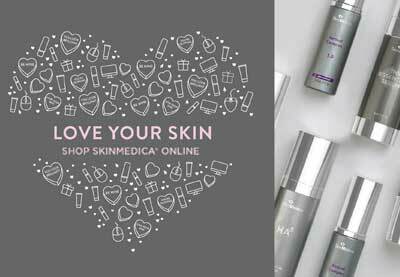 Micro needling also allows topical gels, creams and serums to be absorbed into the skin more effectively. This allows our providers to customize treatment to a specific issue, using topicals to accelerate results. The needle penetration occurs very quickly, meaning it feels much more like sandpaper than needles. Scar treatments require longer needles and will produce more sensation. There is a small blood sample taken from your own body and the PRP is separated from the other components in your blood. 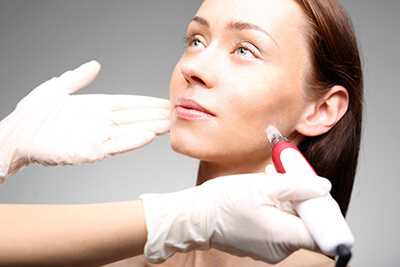 During the micro needling procedure the PRP is topically applied to the skin. The small channels that were created by micro needling give us a direct pathway to deeper layers of the skin for optimal wound healing. Mirco needling with PRP application is a great way to smooth fine lines, scars, wrinkles, and even increase overall rejuvenation of the skin. At Williamson Cosmetic Center we also utilize hyaluronic acid with our micro needling treatments. Hyaluronic acid is found naturally in the body and gives the skin natural volume and plumpness. As we have described above micro needling provides gentle exfoliation to the skin, allowing it to better absorb our treatment method. The Hyaluronic acid is applied topically during micro needling to better access the deeper layers of your skin. Hyaluronic acid not only hydrates but it also nourishes and helps revitalize the skin. After treatment, you will likely look like you have a sunburn. This can last anywhere from 24 hours to several days depending on the depth of treatment. If you would like to learn more about micro needling and the benefits it can have for you, call Williamson Cosmetic Center today!